Last week we shared that MannaRelief’s first container shipment was recently delivered to orphanages across Romania, ensuring an unbroken supply of nutrition when Romanian orphans needed it most, during the unforgiving, cold winter. It was the Spare Change for Real Change campaign that made this extraordinary mission successful and it wouldn’t have been possible without the generous support from our donors. During the next few weeks, we will let you hear directly from the hearts of the orphanages and children that received nutritional support as a result of hundreds of caring people donating their spare change. 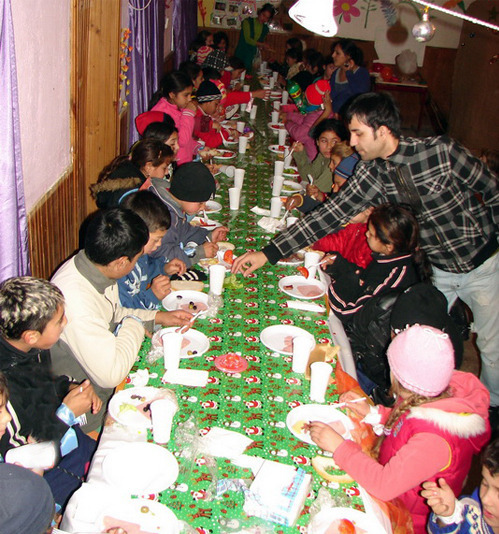 We have just started doing programs with kids and their families living in a gypsy village called Apalina. They’re extremely poor and are living in extraordinarily rough conditions. We go on a weekly basis to invest in them, provide them with humanitarian aid, share the love of Christ, and do parties and activities with them. This summer, we will also have a week long summer camp with these children. We are also working with more than 400 orphan children, teenagers, and young adults living in the care of the state in both group homes and orphanages. We do weekly activities, events, and outreach with them, as well as camps throughout the summer. We have also continued with our two group homes and two apartments with kids and teenagers who are in our full time care. The children we work with grew up never knowing if they were going to be fed every meal or whether they would have to starve or have to steal to survive. Both their physical and psychological state were greatly affected by malnutrition as they constantly skipped meals, became sick from the food they were given, and lived with constant uncertainty of when they would receive their next meal. Many of the kids in our care are struggling with the lack of appetite. Since taking the nutritional supplements MannaRelief has provided, we have been happy to see that the number of kids that have this problem has decreased. The kids that we work with are very skinny because of inconsistency of meals from their past, and we have been happy to see more of our kids beginning to grow and gain weight as well. We are so thankful that MannaRelief has continued providing nutritional support for Livada Orphan Care! This update is made possible by the Spare Change for Real Change campaign. 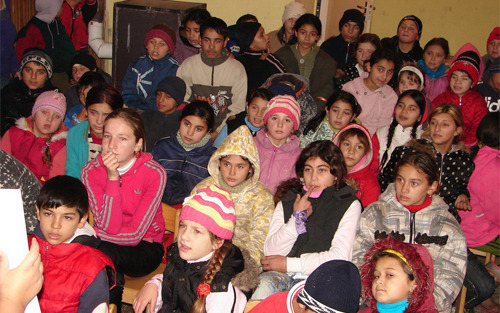 Livada Orphan Care is a destination of MissionRomania 2010 scheduled for July.